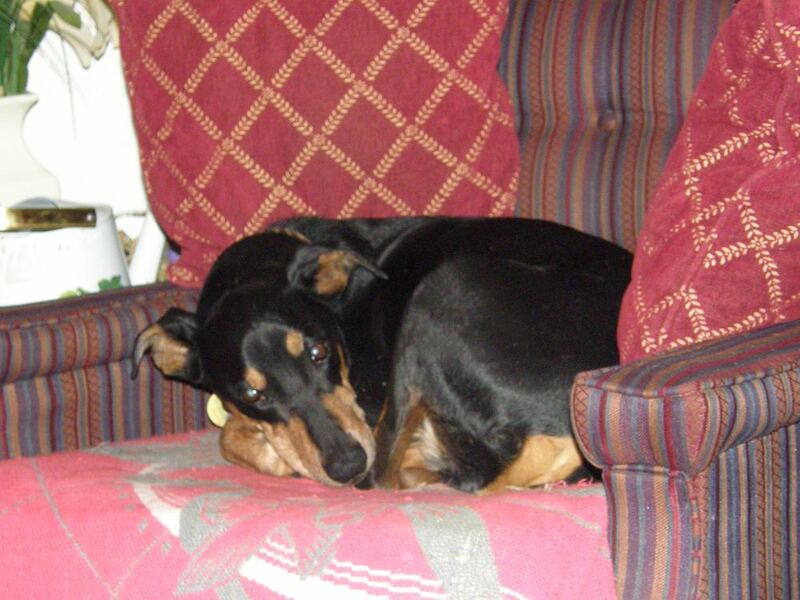 Blue was Angela's very first German pinscher, and her true introduction to the breed. He lived a long and happy life. Blue was very much a people dog, preferring people to other dogs. He was Angela's Novice A dog in AKC obedience and the road to his CD was a long one. He hated retrieving, so no longer competed past the novice level. In addition to his AKC Companion Dog (CD) and Rally Novice titles, Blue had also passed the AKC CGC test and the American Temperament Test Society’s Temperament Test (TT). Blue competed in AKC Novice Obedience at the GPCA’s National Specialty in 2005 in Atlanta Georgia and placed 2nd in his class.